Note: Reiki classes are taught only by special arrangement, as we prefer to teach One Heart Touch® to our students interested in this type of Healing modality. Please contact the Healing Arts Center to find out why or to discuss instruction in Usui Reiki. ​Reiki is the process of using the Universal Life Force as it is directed into the aura to create an abundance of Life Force energy in the auric field. The body can then use this energy to initiate it’s own Healing methods. Reiki is a passive energy, and will go where it is needed most. It can also be used in one’s environment to remove unwanted negative energy patterns, as well as to Balance an energy field. Reiki is a powerful tool for Transformation and creating an atmosphere for Healing. Traditional Usui methods are taught in our courses. Reiki 1 (1st Degree) – Introduces you to the history of Reiki, why and how it works. Learn the first of the Reiki symbols and how to use it. Includes the Reiki 1 energy attunement, which initiates a 21-day cleansing process of your energy field. Teaches you hand positions for Reiki self-Healing and facilitated Healing sessions. 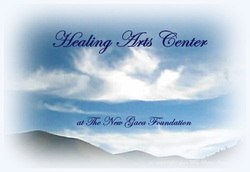 Learn about Healing crises, Reiki circles, and setting intention. Practice of Reiki 1 level techniques is included. Reiki 2 (2nd Degree) – Instructs you in the second and third Reiki symbols, how to use them, and anchors them into your energy field through the attunement process. Teaches how to do distance/absentee, past, and future Healing. How to use Reiki to restore energy to “inanimate” objects, etc. Practice of Reiki 2 techniques is included. Reiki Master/Instructor – Provides you with the energy attunement necessary to attune others to the Reiki energy. Teaches the symbols for use in the Master/Instructor activities, as well as additional symbols for optional use by the Reiki Master. Training includes instruction on teaching, and instruction and practice of passing attunements. An apprenticeship program may be available upon inquiry. Many Reiki Master/Instructors require a waiting period of thirty (30) days after Reiki 1 before Reiki 2 is initiated. Students must wait one (1) year after the Reiki 2 attunement before the Reiki Master/Instructor attunement allowing time for the cleansing and adjustment process. We do not necessarily adhere to this schedule, but work with each student to ascertain the proper amount of waiting necessary for his/her energy processing. Please be sure you read our "Note from the Executive Director for Prospective Students".